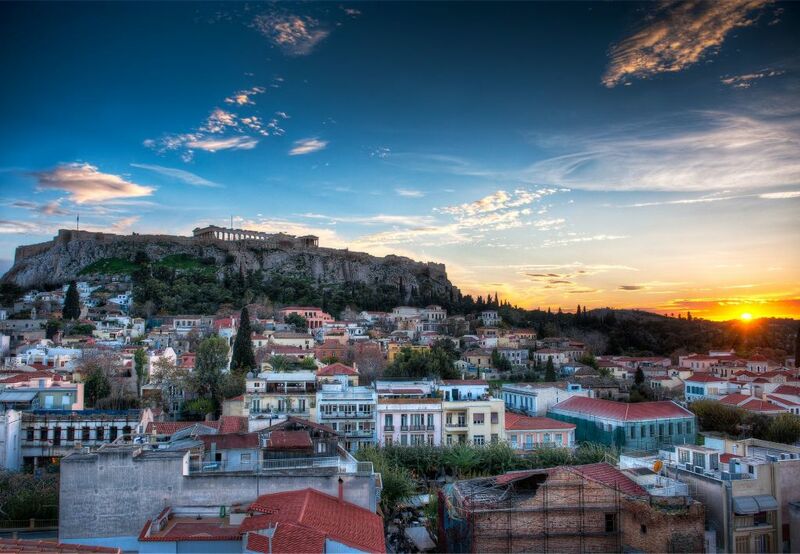 Enjoy the relaxing atmosphere of Athens and the Greek islands. 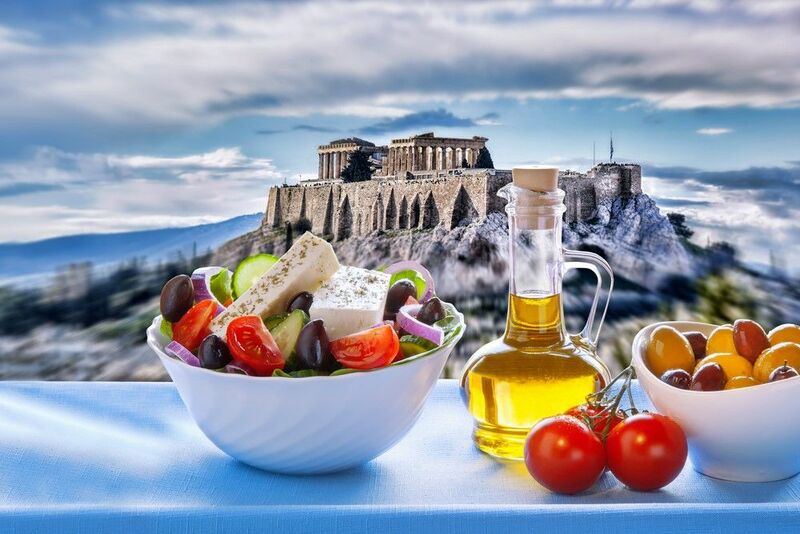 Visit the famed archaeological site of the Acropolis and then step aboard a 7-day classic steel Motor Sailer on board the M/S Galileo. Life on board during the day on the Galileo centers around the indoor lounge area and dining room, as well as the outdoor spaces at the Main, Upper and Sundecks. 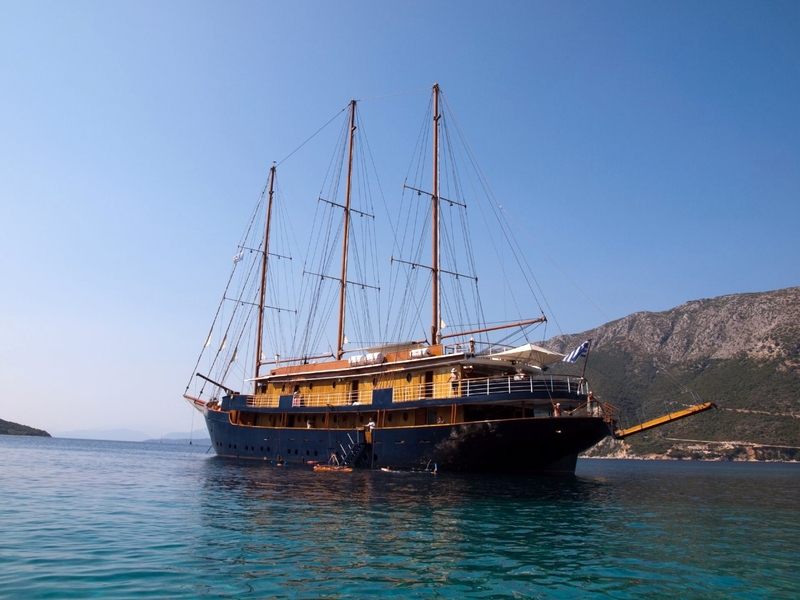 The Captain will drop anchor at secluded bays and beautiful uninhabited islands where, weather permitting, guests enjoy swimming, snorkeling, kayaking. The elegant Galileo is always sailing under motors, and its sails are occasionally used when weather and route allow. 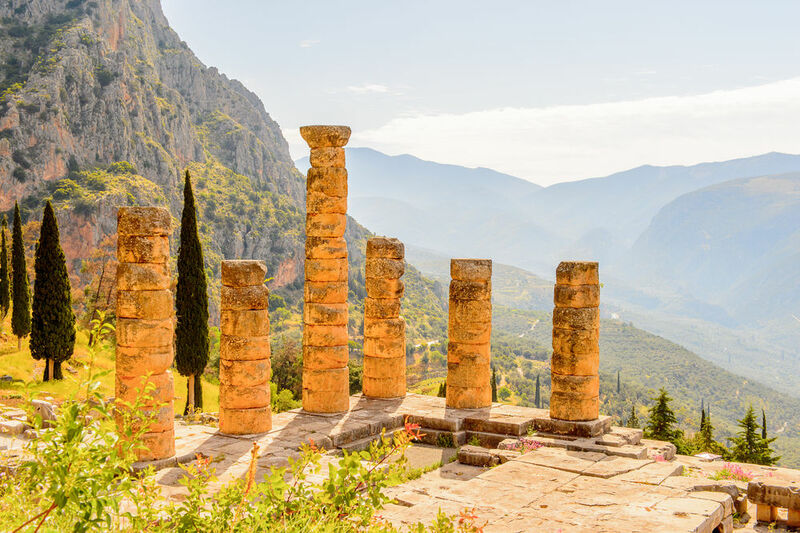 We can alter this itinerary from accommodations to shore excursions based on individual preferences and recommendations from your travel advisor. A perfect itinerary for Honeymoons, Couples & Friends, Special Occasion, Small Groups. Transfer from the hotel to Marina Zea port (2:00pm-3:00 pm) and board the M/S Galileo. On the first day enjoy a welcome drink and meet your crew and fellow passengers. 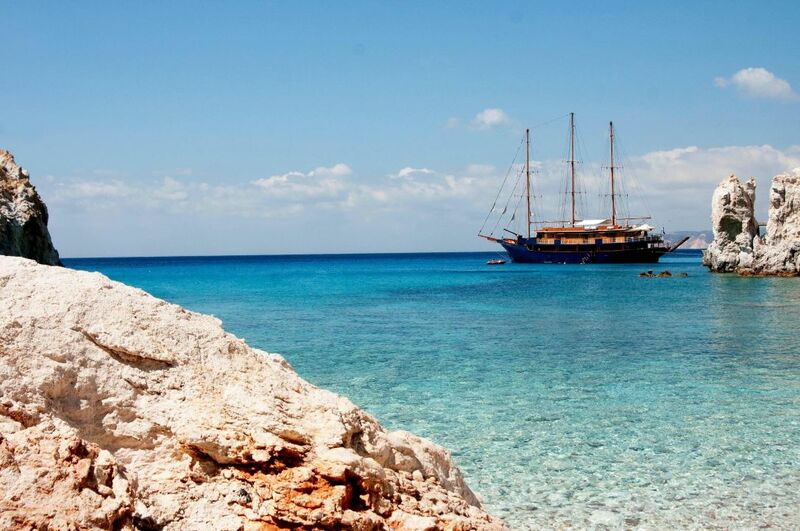 Sail for the island of Poros for a short 3 hours visit. Then continue sailing to Poliegos. Overnight at sea. Arrive in the morning at Poliegos island. A very small island known for its crystal clear beaches. We will have a morning swim stop then followed by a BBQ on deck. In the afternoon sail to Folegandros, one of the most amazing and less known islands in the Aegean Sea. 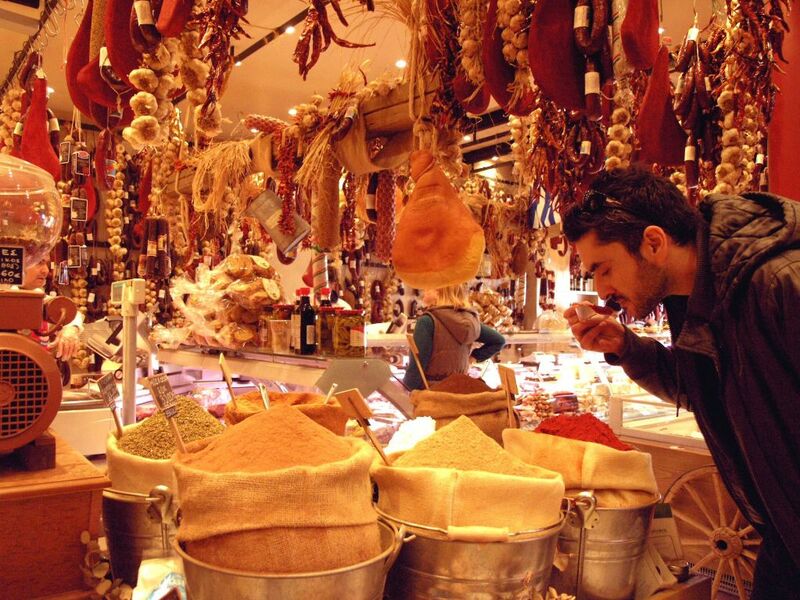 Walk the amazing whitewashed town and dine at one of the traditional Greek tavernas. You will arrive in the morning on the beautiful island of Santorini. 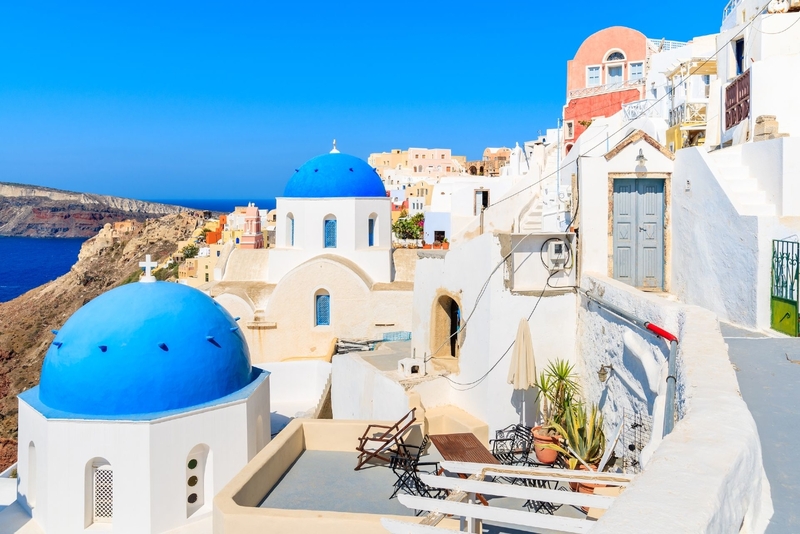 Experience the volcanic caldera with its stunning views on the cliffside in Fira town. We strongly recommend taking one of our personalized private shore excursions to see the island in complete detail from Akrotiri archaeological site to the wineries to the black beaches to the villages of Oia, Firostefani, and Imerovigli all from a locals perspective. In the morning you will enjoy a swim stop in an enchanting bay of Antiparos then early noon we will arrive at Paros island. Visit Parikia and the quaint village of Naoussa. Time to have a fun night and show us your dancing skills during our famous Greek night. Overnight in Paros. 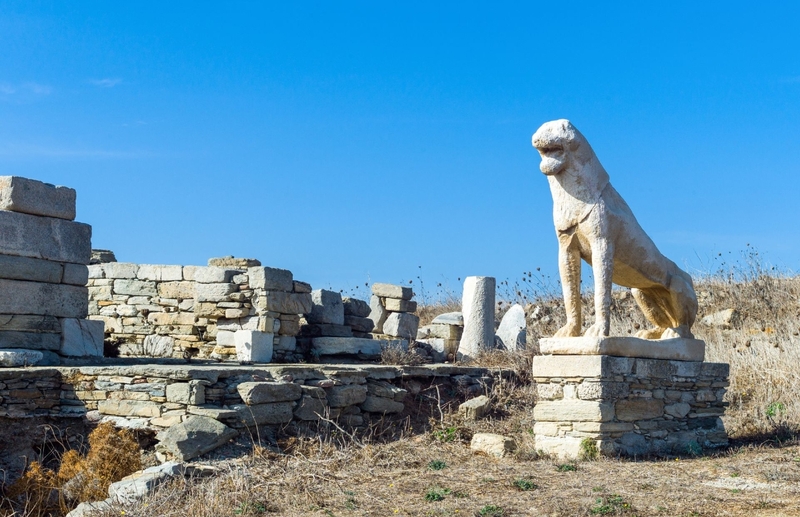 Upon arriving in Delos you have the option to tour the unique open-air archaeological site of Delos known as the most sacred island. 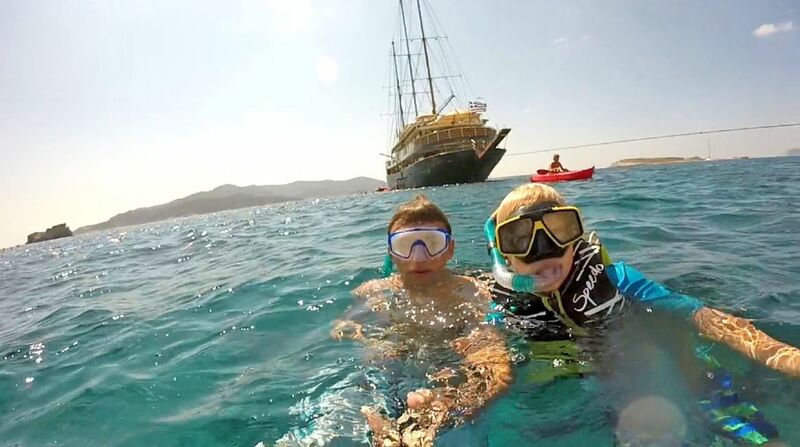 Later on, we will have a swim stop at the beautiful bays of Mykonos and then we will sail at the main port. 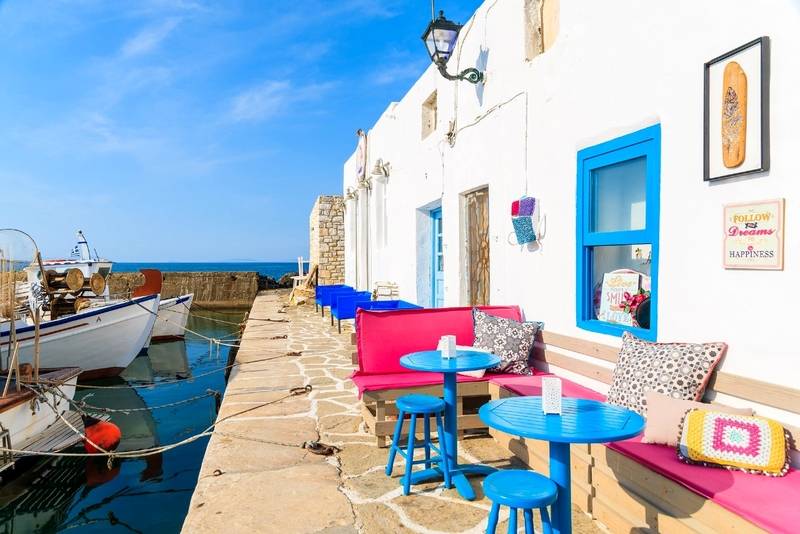 Upon arrival, you can visit on your own Mykonos Chora cosmopolitan town filled with narrow alleyways and whitewashed buildings. 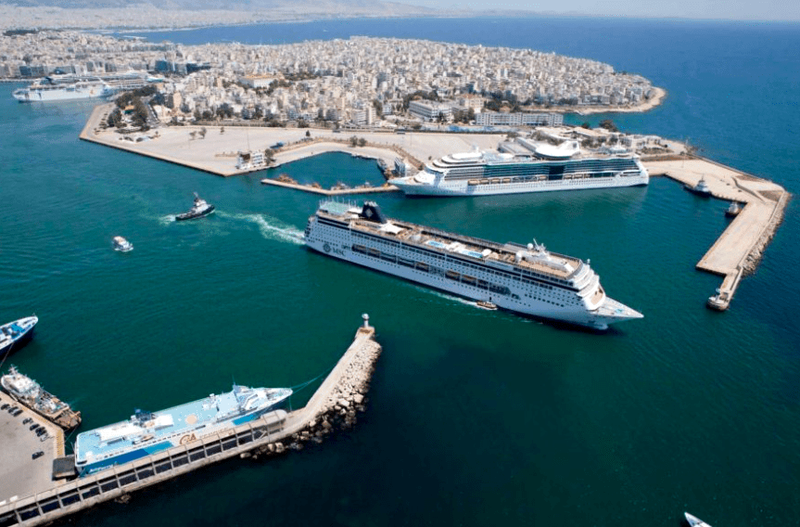 The harbor itself is a popular meeting place overlooked by a variety of tavernas and fishing boats which nestle side by side with all the luxurious yachts! . Overnight in Mykonos. 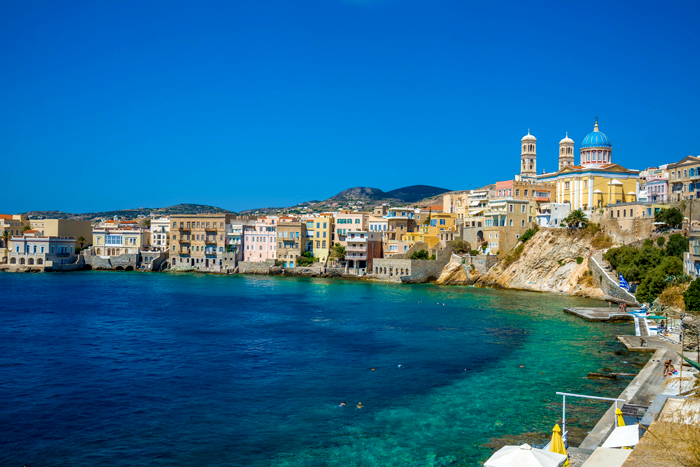 After a refreshing morning swim around Mykonos we will arrive in Syros, the capital of the Cycladic islands where you can enjoy one of its beautiful sandy beaches or walk through the town and enjoy the unique architecture of the buildings. Overnight in Syros. 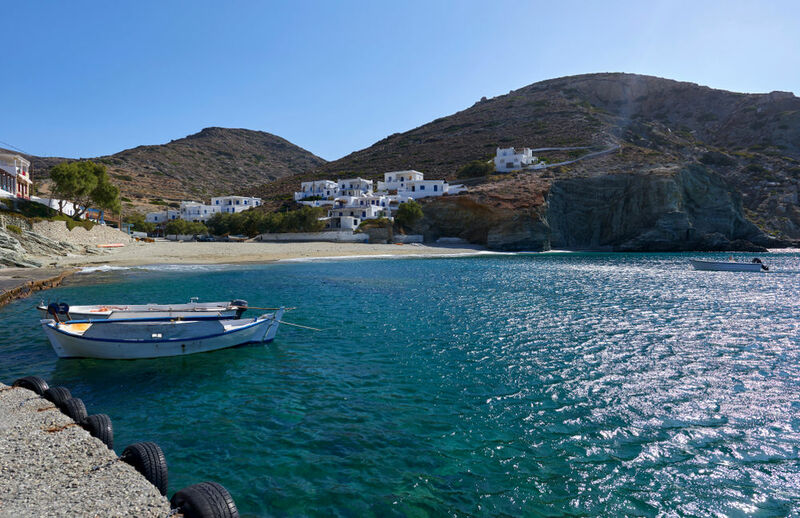 In the morning we will arrive in Kythnos where you will enjoy a swim in Kolones bay and we will then set sail for Marina Zea where we will arrive in the late afternoon via Cape Sounion, the temple of Poseidon. Overnighting in Marina Zea. The cruise ship is at Marina Zea port. From the port, you will take a private transfer to the airport for your connection back to the USA or you can extend your trip to other areas. 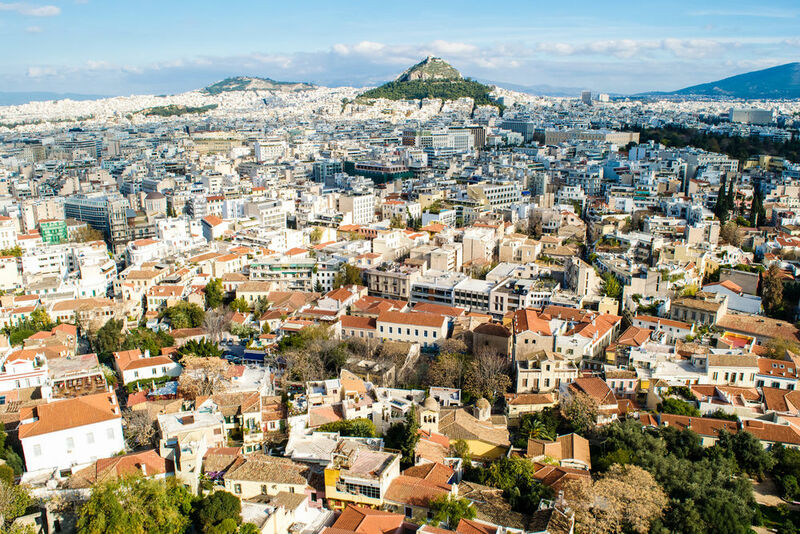 The best time to travel to Greece is from April until October. Dates highlighted on the calendar show recommended dates of travel. Here below are the essential inclusions and must-see trip activities that we recommend as a start. Your itinerary, accommodations and cabin category is based on your requirements, budget and your travel advisors trip assessment and recommendations. 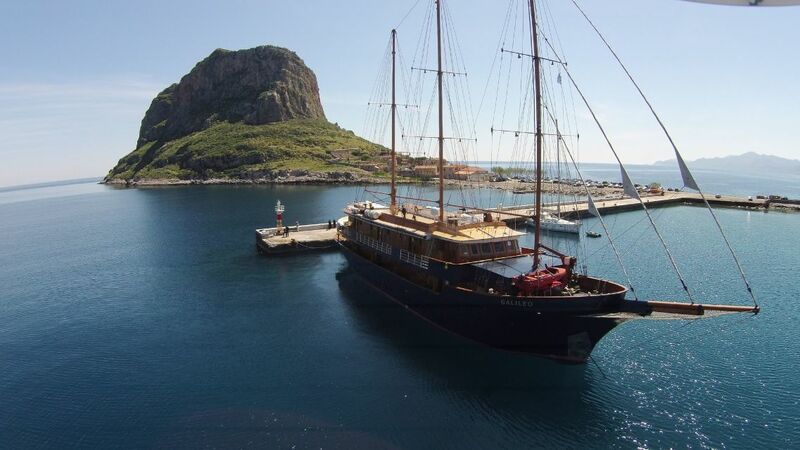 The Galileo is a 48-meter long classic steel Motor Sailer which was renovated in 2016. It has spacious, well-appointed interiors. The lounge area is located on the main deck, and it also leads to a warm and elegant dining room finished with wood and leather. The guests of Galileo can enjoy the outdoor deck which is mostly shaded. It also includes an outdoor bar and the sun deck. The M/S Galileo was built with the most stringent safety regulations, and it was launched in 1992 and rebuilt in 2007. 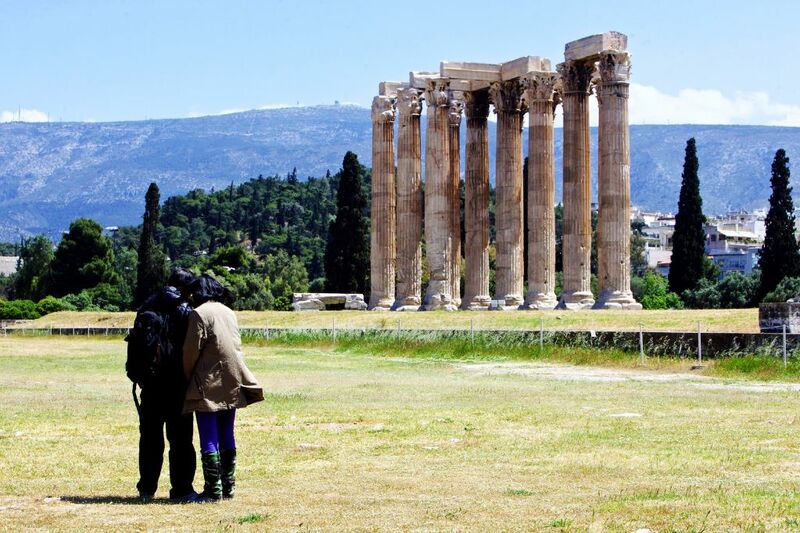 Your choices for Athens accommodations are from 3-star, 4-star, 5-star hotels, boutique hotels, bed, and breakfasts. The appropriate accommodations that fit your requests will be included in your itinerary/quote. Pricing of the itinerary depends on hotel type and cabin category type. Our direct collaborations help us receive the best pricing possible and the most competitive pricing.